Although Bramshill is across the border in Hampshire, the ‘Bramshill Hunt’ extended north through Arborfield and beyond the Bath Road, and of course the local pub gained its name from the hunt meetings. The Cope family owned Bramshill House from 1700 until the early 20th Century, when it passed to Lord Brocket. 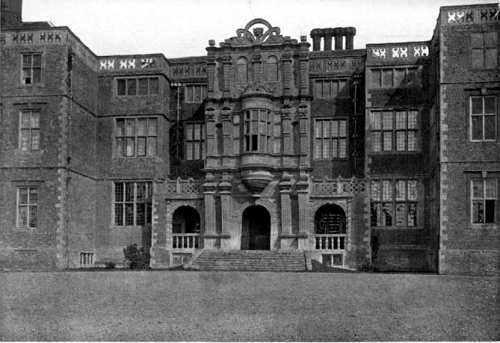 "[Sir Robert Henley’s] brother and heir Sir Andrew Henley was equally extravagant, and fell so deeply into debt that he was forced to part with all his property, the Bramshill house and estates being sold by his representatives and creditors to Sir John Cope for £21,500 in 1700. "Sir John succeeded to the baronetcy in 1721 and died in 1749, being followed by his son and heir Sir Monnoux Cope, who died in 1763 and was succeeded by his son and heir Sir John Mordaunt Cope. "Sir Denzil died without issue in 1812, and his brother Sir John Cope, well known as a master of foxhounds and owner of celebrated horses, held the baronetcy and the Bramshill estates until his death without children in 1851, when they passed to his fifth cousin and heir Sir William Henry Cope. "Sir Anthony Cope, third but first surviving son of Sir William, is the present lord of the manor of Bramshill, having succeeded his father on his death in 1892." A lot of detailed information on the Bramshill Hunt and its successor, the Garth Hunt, was published in 1921 in a series of 30 articles on ‘Hunting in Berkshire’, by J. Hautenville Cope, a local historian. John Hautenville Cope, born 1867, was the son of William Henry Cope (1811-1892, Rifle Brigade, Minor Canon of Westminster) and Harriette Margaret Hautenville, daughter of Robert Jaffray Hautenville. He married Emma Elizabeth Thoyts in 1899, and they settled in Finchampstead. Emma outlived him by 7 years, dying in 1949; they are commemorated by a plaque in Eversley Church, and they are buried in the Cope family grave there. Emma was the eldest daughter Major William Richard Mortimer Thoyts and his wife, Anne Annabella Puleston. Although born in in Bryanston Square, Marylebone on 8 July 1860, Emma grew up at Sulhamstead House, where she gained a fascination for history. She wrote widely, particularly upon subjects related to Sulhamstead and the surrounding villages and the families who lived there. She transcribed many Berkshire parish registers and soon became a recognised expert on the reading of ancient handwriting. One of her few published works, 'How to decipher and study Old Documents' (1893), is still in print today under the title 'How to read Old Documents'. Her many manuscript works are now in the Berkshire Local Studies Library in Reading. She also produced sketches, including two of the old Arborfield Hall, which would have held a fascination for her, because its architect was also involved with Bramshill House. J. Hautenville Cope had unrivalled access to Sir John Cope’s notes and diaries of the Bramshill Hunt, plus those of the Thoyts family. The series ‘Hunting in Berkshire’ covered the whole of the old county, but some relevant sections have been transcribed and can be seen by clicking here. J. Hautenville Cope collaborated with the Rev. Peter Ditchfield, rector of Barkham, on Volume 3 of the Victoria County History of Berkshire, published in 1906, and encompassing Arborfield and surrounding villages. They also worked together on articles connected with Berkshire Archaeology. J. Hautenville and Emma Cope both attended the 1931 Anglo-American Conference of Historians, held in London. We deeply regret to announce the death of Mr. John Hautenville Cope, who passed away at his home, Finchampstead Place, Finchampstead, aged 75. He was the youngest son (by the second wife, Miss Hautenville, of Dublin), of Sir William Cope, the 12th Baronet, of Bramshill Park, and was born there on September 12th 1867. He was educated at Wixenford School, and was at Mr. Kirchhofers’ at Yateley. Like many others, he failed to pass into the Army, but joined the London Rifle Brigade Militia, resigning as captain. For some time he held a Government appointment abroad. In 1899 he married Miss Thoyts, of Sulhamstead Park, Berkshire. He became associated with the Royal Berkshire Hospital under his Father-in-Law, Major Thoyts, and took a practical interest in the institution. On going to London, he became a Governor of Westminster Hospital, private secretary to the great explorer, Sir Leopold McClintock, secretary and organiser of the Westminster Hospital Association, secretary to the Queen’s Jubilee Nurses, a working member of the Charity Organisation Society under Mr. Locke, and finally he was on the paid staff of the Victoria County History, to which he was nominated by the celebrated Horace Round. In 1935 he was appointed County Correspondent for Berkshire of the National Trust for places of historic interest. Mr. Cope became a prominent member of the Hampshire Society and for some time edited, with the Rev. P. H. Ditchfield, the Berkshire Archaeological Journal. Later, he was Editor to the Hants. Field Club. 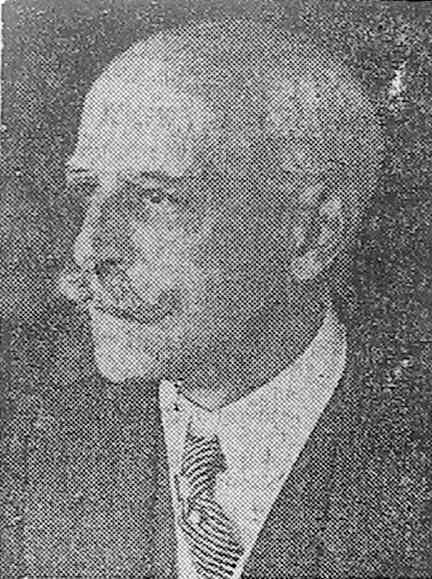 He was secretary and editor of the Oxfordshire Record Society, 1927-1936, and was formerly Editor to the Powysland Club and the Montgomery Collections. By the wish of Bishop Talbot, of Winchester, he was ordained a Lay Reader in that Cathedral, but was refused ordination by Bishop Gore, of Oxford, who, it is said, disapproved of lay readers. Mr. Cope assisted in a good many churches in Hampshire. In 1920, after a brief residence again in Yateley, his wife bought and presented him with Finchampstead Place. In 1924, Mr. Cope became a member of the Wokingham District Council and Board of Guardians and took an active part in local affairs. He was for a long period President of the Finchampstead Cricket Club, and was greatly interested in the Men’s Fellowship, and was elected an hon. member of the British Legion. He was associated with the local Parish Council, the Finchampstead Ridges Committee, etc. Mr. Cope was always courteous and anxious to help in every way. He was most courteous in illness. The funeral took place on Tuesday at the Church of St. Mary in Eversley. The service was conducted by the Rector of Eversley, assisted by the Rector of Stratfieldsaye (Canon John Barker) and the vicars of Heckfield and Yateley. Mourners were: Lady Cope (sister-in-law), Miss Joan Cope (niece), Miss Thoyts (sister-in-law), Mrs. D. Hilton, Mr. C. o’Callaghan (male nurse), Mrs. M. MacLeod, Mr. G. Corim and Mr. G. Datten. The widow was unable to attend owing to illness. The coffin was borne by three Home Guards, in uniform, who are in the service of the Cope family, and Mr. Mileham, of the Finchampstead Special Constabulary. [There was a long list of others present].